304 Stainless Steel construction and the exclusive, innovative Doran gasket design exceeds IP69K and NEMA 4X classifications for washdown protection. Set over/under tolerances right from the front panel using the Up/Down arrow buttons. Checkweigh with 3- or 5-zone checkweighing operations. Doran Scales was started back in 1976 just as microprocessor technology was revolutionizing the electronics industry. The originators of the Doran scale design began manufacturing a highly specialized electronic laboratory grain scale. Impressive sales led to the development of the first series of industrial electronic check weighing scales manufactured as the Doran 4100 Over/Under Series, which were designed to perform with repeatable accuracy in the hostile wash down environments found in the food processing industry. The Doran 4100 became well known for its speed, durability, and simple instructions. Doran's reputation as the industry's leading stainless steel scale basically still exists today. Doran emphasizes high quality stainless steel scales, shipping in-stock scales the same day they are ordered and providing two-year warranty coverage. That's a few of the reasons satisfied customers who use Doran Scales often provide repeat business and referrals. And often when customers ask us at Central Carolina Scale for a recommendation for the best stainless steel digital scale, many times we do recommend the Doran lineup mostly due to their reputation for being excellent in harsh environments. The IP69K rating is something that not all scale manufacturers offer and is essential if you're looking for water resistance. 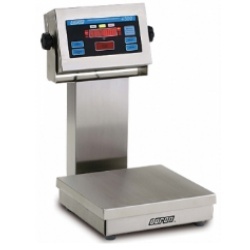 The 4300 from Doran provides you with a simple, easy to use stainless steel scale. Whether you refer to it as an over or under scale or under, accept, over scale; basically the scale can be set up to display different lights depending on how much items weigh as they go across the scale. Of course, the other fact to remember is the Doran Scales 4300 checkweigher features high quality stainless steel construction. Great scale for wash down environments but you don't necessarily have to use this in a washdown environment. The heavy duty construction also works great in industrial environments which can be very abusive to inexpensive plastic scales that are sometimes used in an attempt to save costs. 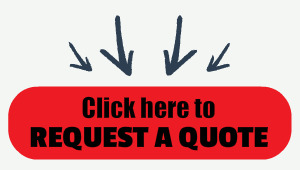 The reality is that often times a one time investment in a quality product like the Doran 4300 can be justified very easily when you think about the numerous quantities of inferior products that will need to be purchased and replaced over the course of many years to match the durability and accuracy of the 4300. 304 Stainless Steel construction and the exclusive, innovative Doran gasket design exceeds IP69K and NEMA 4X classifications for washdown protection. The 4300 Checkweigh Scale will survive and thrive in the most extreme washdown weighing applications. Reduce downtime and lower maintenance costs even in repeatedly harsh washdown environments. Four times thicker than the competition, this super-rugged touch panel resists moisture and puncture damage better than any other scale. Simple to use with minimal operator training. Set over/under tolerances right from the front panel using the Up/Down arrow buttons. Checkweigh to zero or actual weight with 3- or 5-zone checkweighing operations. No, that's not a typo! Our unique "Quad-Spring" design protects the sensitive load cell from shock and overload damage. Protected to a maximum of 10 times the base load rating, this design sets the new industry standard—a feature available only from Doran. Take a "peek under the hood" to see what's inside our DXL scale base. 4350/12 50 x 0.01 22.7 x 5g 800 x 0.2 12" x 12"
4350/15 50 x 0.01 22.7 x 5g 800 x 0.2 15" x 15"